After a long blogging gap, I wish anyone who still looks at this blog every blessing in the coming year (in Scotland, we always add “when it comes”, as it is considered to be very bad form to wish anyone a Happy New Year before midnight). A lot has been happening in the past weeks when I have not been posting: Father Anthony had a hip fracture and is now well on the way to full recovery; my dear friend Louise (Docherty) Fullbrook died after more than a year battling cancer; my mother had a clot in her leg and went to hospital at three o’clock in the morning (after waiting five hours for an ambulance); Father Hubert fractured his femur and is not recovering (pray for him tonight as he seems to be slipping away); Father Marius moved to Saint Gabriel’s Retreat (The Graan) near Enniskillen and, two weeks and two days ago, I left Saint Mungo’s after twelve years to begin a new life as parish priest of Saint Gabriel’s, Prestonpans. On the same day, Father Michael Doogan C.P., whom I have known since I was an altar boy at his ordination, died of a heart attack at the Graan; he was buried on his sixty-fifth birthday. May he rest in peace. My first two weeks at Saint Gabriel’s have been quiet. Christmas and New Year is not a typical time in any parish, but it is a good time for meeting everyone, including the occasional massgoers. The parish is located in East Lothian, just fifteen minutes by train from Edinburgh, and covers Prestonpans, West Pans, Levenhall, Wallyford (where Mass is celebrated at Saint James’ Oratory on Saturday evenings), Cockenzie, Port Seton and Longniddry. These towns and villages have a total Catholic population of around two thousand, which is about the same as Saint Mungo’s. 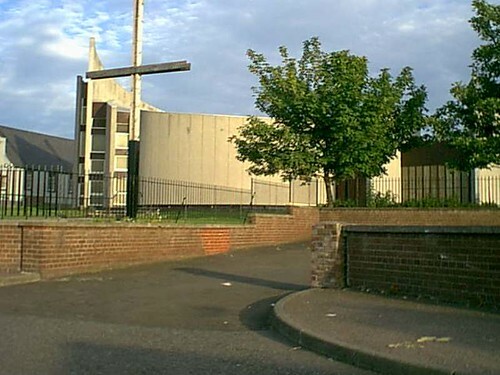 The Passionists have been in the area since 1932; when I was a schoolboy, there was a monastery (Saint Mary’s Retreat) near Levenhall. The parish was established by the monastery and the church was built in the 1960s. What is strange about being here is that, for the first time in my life, I have been sent somewhere to live alone. In the past, there were always three religious here but, with diminishing numbers, that is no longer possible and so I will be living here alone, as Father James Andrew did for the last four years. So far, however, it has not been as difficult as I feared. The people are very welcoming; they are happy that the Passionists still staff the parish, even if we do so only one at a time. From my new home (new hermitage), I wish all my brothers and you, faithful readers, every blessing from God in the New Year – when it comes.